Does the quality of health care vary? Yes, some health plans and doctors simply do a better job than others of helping you stay healthy and getting you better if you are ill. The choices you make-about health plans, doctors, hospitals, or nursing homes-can influence the quality of care you get. How can you tell which choices offer high-quality health care and which do not? Fortunately, more and more groups are working on ways to measure, report on, and improve the quality of health care. Keep checking for new information to help you make choices to improve the quality of your own care. What is high-quality health care and how is it measured? Consumer ratings: These look at health care from the consumer's point of view. For example, do doctors in a health care plan communicate well? Clinical performance/technical measures: These measures look at how well a health care organization prevents and treats illness. For example, do children get the immunizations (shots) they need when they need them? Where can I find information on the quality of health care? NCQA Health Choices(link is external) displays Health Plan Report Cards compiled by the National Committee on Quality Assurance (NCQA). NCQA is a private nonprofit organization that accredits health plans. Accreditation is a "seal of approval." To earn accreditation, organizations must meet national standards, often including clinical performance measures. Organizations choose whether to participate in accreditation programs. Accreditation is not a guarantee of the quality of care that any individual patient will receive or that any individual physician or other provider delivers. Medicare Plan Finder(link is external) from the federal Centers for Medicare and Medicaid Services (CMS) provides recent consumer ratings and clinical performance measures for all Medicare managed care plans. Wisconsin BadgerCare Plus HMO Choice Booklet (includes BadgerCare Plus Report Card) (PDF, 292 KB) compares HMOs that serve Wisconsin BadgerCare Plus members in nine areas of health care and four areas of member satisfaction. Health Plan Report Card(link is external) is published by the Department of Employee Trust Funds for state employees. The report card includes consumer ratings and technical measures. The Performance and Progress Report(link is external) from the Wisconsin Collaborative for Healthcare Quality(link is external) includes information on quality for a variety of Wisconsin health plans. Quality and hospitals Hospital Compare(link is external), from CMS, allows you to check on the quality of care provided for conditions like heart attack, heart failure and pneumonia at hospitals throughout the country. Checkpoint(link is external), from the Wisconsin Hospital Association, provides some information on the quality of care provided by many Wisconsin hospitals. The site includes measures of how well hospitals performed when caring for patients with heart attacks, heart failure, and pneumonia as well as information on what hospitals are doing to prevent errors. The Leapfrog Group Hospital Survey(link is external): Reports from hospitals on progress they have made toward meeting four safety standards(link is external) established by The Leapfrog Group(link is external), a coalition of public and private organizations that purchase health care benefits for their employees. The Performance and Progress Report(link is external) from the Wisconsin Collaborative for Healthcare Quality(link is external) includes information on quality for many Wisconsin hospitals. 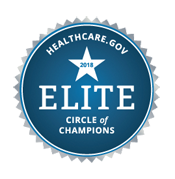 Nursing Home Compare(link is external), from the federal Centers for Medicare & Medicaid Services, provides clinical performance measures and results of state inspections for all Medicare and Medicaid certified nursing homes. The Performance and Progress Report(link is external) from the Wisconsin Collaborative for Healthcare Quality(link is external) includes information on quality for many Wisconsin clinics. Helping You Identify Quality Laboratory Services(link is external) (PDF, 39 KB). Although you can't always choose the lab where your tests are processed, this checklist from the Joint Commission can help you judge the quality of the lab your clinic or physician uses. The Joint Commission is a nonprofit organization that evaluates health care quality and safety. Quality Check(link is external) is a service offered by the Joint Commission that lets you look up medical laboratories by name or location.